This could be a Prime number one. 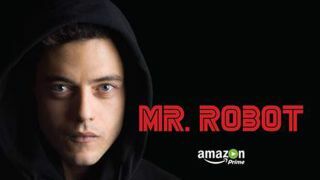 One of the biggest US TV hits of the the year is coming to the UK - but it's Amazon that have snapped up Mr Robot for its Prime Video service rather than one of the traditional channels. Mr Robot centres around Elliot, a cyber-security expert by day who lives a double life as an ethical hacker using his skills to help topple corrupt empires and right social wrongs. This is no small catch for Amazon, as the series has already been a major hit for the USA Network, both critically and with the audience. As an added bonus, all 10 episodes of Season 1 will be available to stream from Friday 16 October.